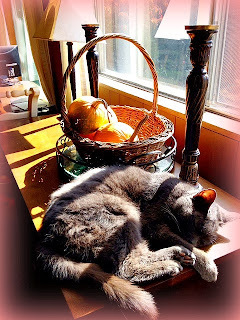 Wordless Wednesday - What Do Cats Dream Of? Maddy is dreaming of jumping into that basket with the pumpkins, I just know it. 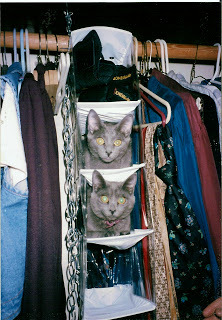 If you've lived with a cat you must have experienced finding them in close, cozy spaces. 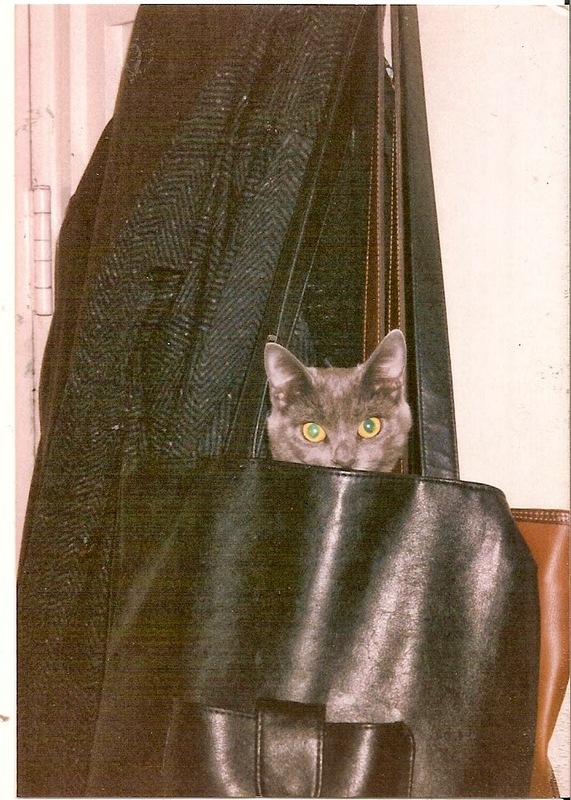 What's a funny place you've found your cat?